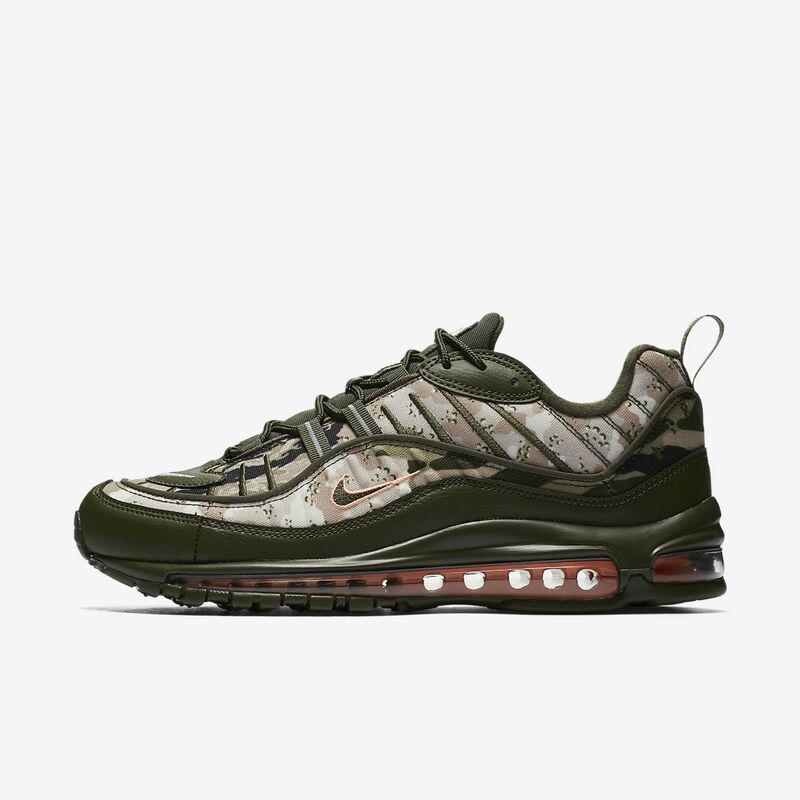 The Nike Air Max 98 Men's Shoe keeps the feel of the '90s original with Max Air cushioning and an updated, modern construction. It features textile and synthetic materials, as well as an eye-catching look. The Nike Air Max 98 Men&apos;s Shoe keeps the feel of the &apos;90s original with Max Air cushioning and an updated, modern construction. It features textile and synthetic materials, as well as an eye-catching look.